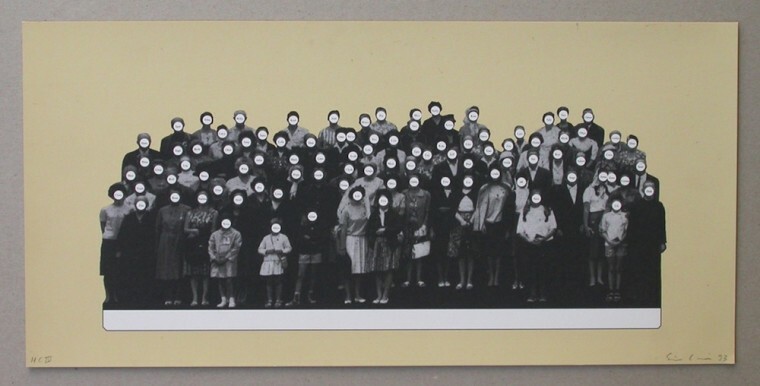 Simon Lamunière, Sans titre, silkscreen print, black/white, colour, on Arches 88 300 g/m2 paper, 23 × 47 cm, edition of 130 plus 5 A.P. and 5 H.C., numbered, dated and signed. Edition of the Centre genevois de gravure contemporaine, Geneva, 1993. Edition offered to the members of 1993 of the Centre genevois de gravure contemporaine association.